David Deutsch reappointed as one of two Independent Board members, and Treasurer, of BRANY (the Biomedical Research Alliance of NY), a for-profit enterprise jointly owed by NYC’s leading academic medical centers. David N. Deutsch & Company held its 19th anniversary Saratoga Weekend, an annual business-and-broader discussion among clients and friends of David N. Deutsch & Co. and its conference partners (led by S&P Global Market Intelligence and Hamilton Lane). “Camp David,” as it has become known, is an annual tradition of our firm. 2017 meeting highlights included “Private Equity For Private Enterprise,” “State of Readiness: A Blueprint for Operational Excellence,” “Earth Day 2020,” “The Family Business Advantage,” “Next-Gen Tech Training,” “Act With Respect Always and a special presentation by fmr. Comptroller General of the United States, David Walker. David Deutsch invited to join the Saratoga County Prosperity Partnership’s Advisory Council. The Council provides Saratoga County with input, analysis and guidance in developing measures of economic growth and helping prepare for periodic public presentation of the Partnership’s Economic Index. David N. Deutsch & Company and its principals value community involvement. David N. Deutsch & Company engaged to advise the nation’s premier brand in senior executive transition services, a leading closely-held, New York-based business services company, in an evaluation of strategic financial alternatives and the monetization of the ownership stakes of its principals. 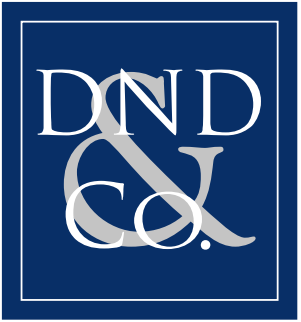 DND & Co. engaged to serve as Board Advisor to Safety Partners, Inc.
DND & Co. engaged to serve as Board Advisor to Safety Partners, Inc., a leading business services company based in Cambridge, MA. Please email office@dndco.com or contact us.